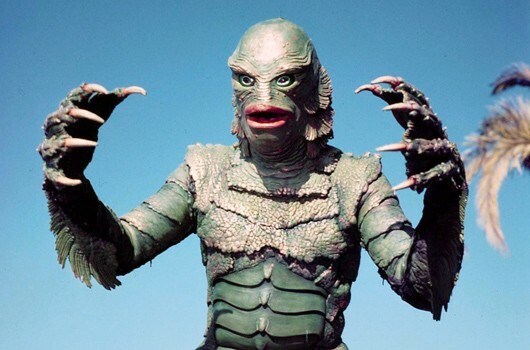 Universal’s most effective new traditional classic monster came in the shape of the Creature from the Black Lagoon. Although the film was billed at the time as a sci-fi thriller, the gill man has ultimately joined the ranks of the studio’s most famous entries into their gothic horror stable. 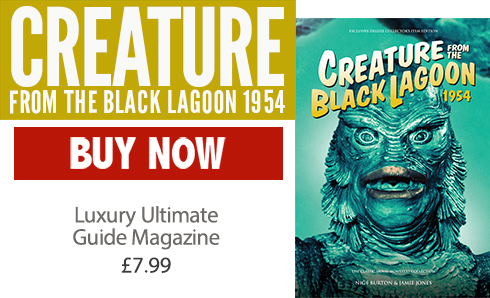 Creature from the Black Lagoon is a set piece of style, substance and above-par acting. Beautifully directed by Jack Arnold, it features wonderfully enduring performances, particularly from leads Richard Carlson and Julia Adams. Excellent support comes from Richard Denning, Whit Bissell and Nestor Paiva as skipper Lucas. The Creature from the Black Lagoon himself, meanwhile, has become one of the most iconic and enduring monsters of all time, much loved by legions of fans the world over. 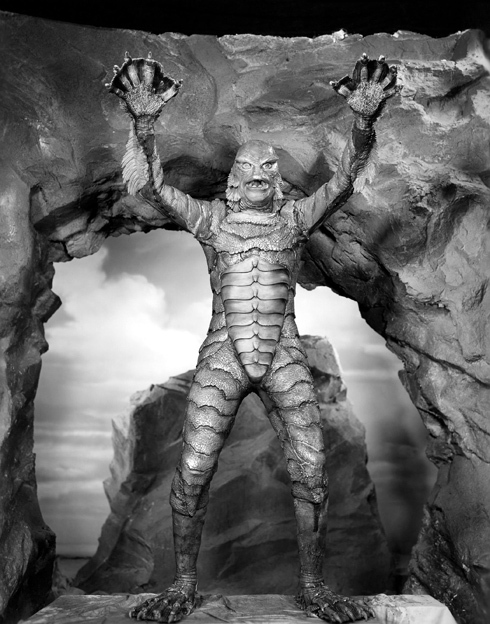 On land, the Creature suit – sculpted by Jack Kevan and Chris Mueller Jr – was worn by Ben Chapman, while a smaller version was donned by Ricou Browning for the stunning underwater scenes. Part of the success of Creature from the Black Lagoon has to be its score, a hybrid arrangement contributed by Henry Mancini, Hans J Salter and Herman Stein, although all three went uncredited. Careful listening reveals a distinct inspiration for John Williams’ groundbreaking theme for Jaws (1975). 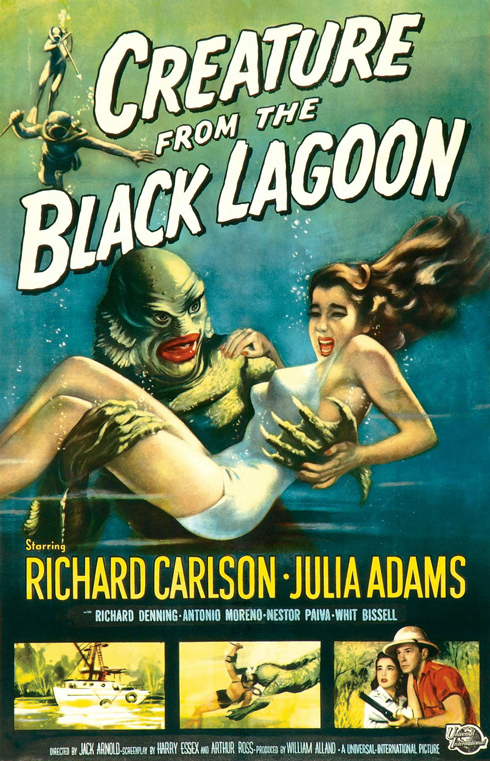 With Creature from the Black Lagoon, a whole new army of classic horror fans were brought into the fold of enthusiasts, and the character is among the most loved of all monsters even today. With the Creature, we most definitely have a true horror movie allrounder. Is definitely the best of the Universal Monster films what makes me love it is the underwater scenes it’s beautifully done and I’m so glad that it has not been ruined with a remake. I have always enjoyed this movie, and it’s first sequel…..but not so much The Creature Walks Among Us……which I found dull and lacking in the excitement of its 2 predecessors….but that just my opinion.